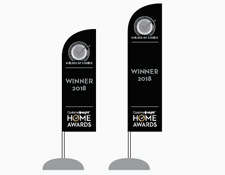 The Home Owner Mark of Excellence (HOME) is an independent certification program created by CustomerInsightTM, and based solely on the voice of the customer. All scores and ratings are from real home owners, just like you. 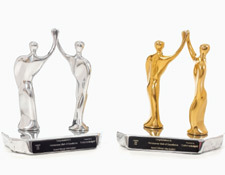 Winners are calculated solely from home owner feedback surveys. No industry judges or panels, just customer feedback. H.O.M.E. 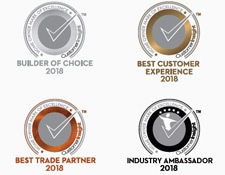 provides you with select group of companies who have achieved and maintained outstanding customer experience results, throughout the entire build process and beyond the first year of warranty. If you’re looking honest referrals when making the biggest decision of your life, look for The Home Owner Mark of Excellence. CustomerInsightTM is the leading customer survey provider for the residential construction industry. We receive thousands of completed surveys and builder reviews every year, and we know which home builders and trades provide the best experience to their customers. 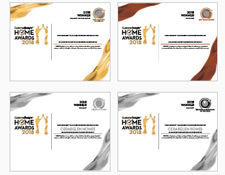 We have developed The Home Owner Mark of Excellence to recognize customer-centric home builders and renovators who are consistently recognized by their customers as providing excellence in product quality and customer service. SURVEYS: We conduct independent "voice of the customer" surveying at key moments with performance metrics and strategic analysis to help home builders meet and exceed the expectations of their customers. ANALYSIS: We dive deeper into the organizational process through customer experience journey mapping to improve your overall building process through the eyes of the customer. SOFTWARE: Our powerful communication platforms add value to your homes, allowing homebuilders to strengthen relationships with your buyers. Constellation HomeBuilder Systems is the largest provider of software and services in the building industry. Our innovative software solutions and consulting services empower builders with information to drive business objectives and simplify the process of building homes and condos. Constellation HomeBuilder Systems is the home building software division of Constellation Software Inc., an international provider of market-leading software and services for specialized industries, which is traded publicly on the Toronto Stock Exchange. Constellation HomeBuilder Systems welcomed CustomerInsight to the Constellation family in June 2018.